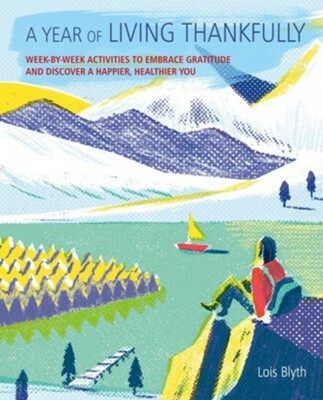 Experience a year of actively being more grateful, with weekly activities and practices, plus workbook pages to fill in, and discover how this can lead to greater happiness and well-being. Can being more grateful change your life? Ongoing research suggests that it does. Practicing gratitude has a positive impact on the brain and changes the way we feel about the world and each other, making us want to nurture, help, and protect one another, and increasing our sense of belonging. It extends far beyond the ritual of sharing gifts or saying thank you. It is a form of recognition—a way of appreciating the kindness, beauty, and wonder that life has to offer. A Year of Living Thankfully offers simple activities for each week of the year that will help you embrace gratitude and reframe your view of the world. Included are creative suggestions to turn a simple thank you into a heartfelt gift, strategies to help you see life with brighter eyes, meditations to end your day on a grateful note, and ways to help you find thankfulness again when times are hard. Journal pages with friendly reminders follow each activity so that you can reflect on your experience and what you are discovering. You will soon find that gratitude becomes a way of life and will reap the benefits, both emotional and physical. Lois Blyth is a writer of self-help and lifestyle books, and is the author of The Little Pocket Book of Kindness and The Little Pocket Book of Happiness, both published by CICO Books. She is based in Dorset, UK. I'm the author/artist and I want to review A Year of Thankfully Living.